NASA is committed to investing in our Nation’s future workforce and fueling an increased interest in STEM disciplines. The goal is to identify, cultivate and sustain a diverse workforce that is needed to support NASA’s missions while contributing to the economic growth and global competitiveness of the United States. 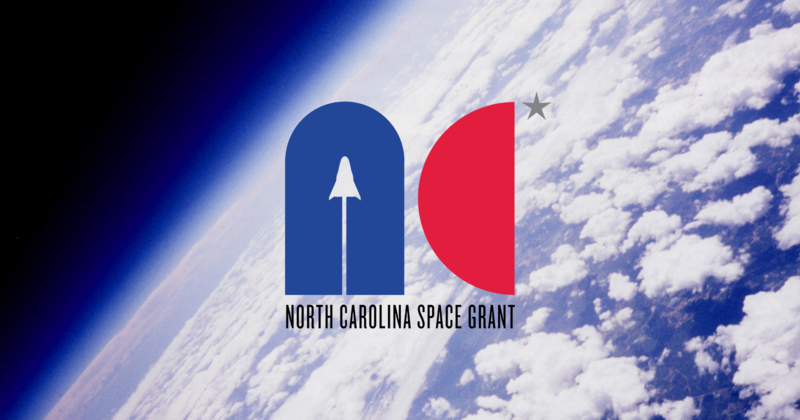 In order to accomplish this, NC Space Grant offers Fellowships and Scholarships uniquely designed for students in North Carolina. NASA Fellowships are designed to support independently conceived or designed research by highly qualified graduate students, in disciplines needed to help advance NASA’s missions; thus affording them the opportunity to directly contribute to advancements in STEM-related areas of study. Fellowship opportunities are focused on innovation and generate measurable research results which contribute to NASA’s current and future science and technology goals. NASA Scholarships provide financial support to undergraduate students pursuing science, technology, engineering and mathematics (STEM) degrees and provide the opportunity for students to deepen their inquiry within STEM through a myriad of channels including research experience, technical collaborations and professional development. Space Grant funded NASA Scholarships should not be provided for those opportunities that fit aforementioned internship criteria. FACULTY Research strengthens aerospace-related research infrastructure by providing seed funding to new faculty members as well as hands-on research with NASA Centers. STEM Experiential Learning Opportunities enable learners to acquire knowledge, understand what they have learned, and apply that knowledge through inquiry-based and project-based activities. Opportunities embrace participatory activities designed to increase involvement, knowledge, understanding/comprehension and application of learning in one or more STEM disciplines using our unique resources. STEM Challenges are creative applications of NASA-related science, technology, engineering, mathematics and cross-cutting concepts. They challenge existing assumptions and encourage learners to demonstrate their knowledge of STEM subjects while enhancing innovation, critical thinking and problem-solving skills. The Agency actively communicates with learners at all levels of the learning complexity scale through these Challenges.